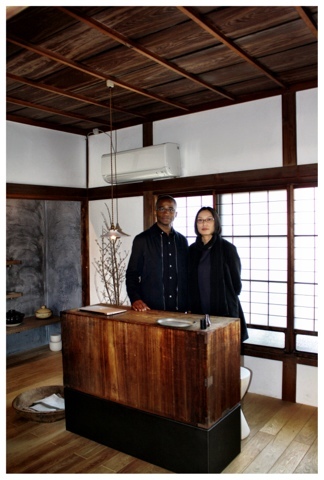 Last weekend I met Ian Orglas(Canadian) and Mitsue Iwakoshi (Japanese), the owners of Analogue Life in their lovely shop in Nagoya. 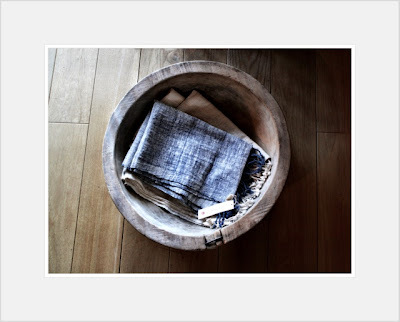 I felt in love with their beautiful crafts right away when I first saw them featured on an interior design blog. I've been thinking about visiting the shop for a while and having to buy a wedding gift was the perfect "excuse" to finally do so. 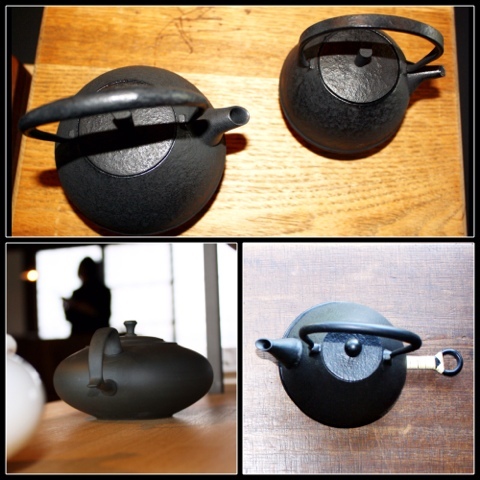 Analogue Life is situated in Mizuho Ward, in a residential area in Nagoya and a definitely must see to everyone who lives in or visits Nagoya - and for those who like traditional Japanese products that are artisan handmade, handcrafted or produced by small studios and local manufacturers. Analogue Life is a delight for the eyes and for the soul. 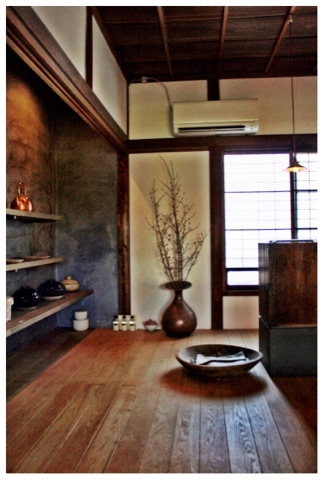 As soon as you walk in you feel an imense flow of peace, giving it by the serenity of the airy space in a contemporary Japanese atmosphere. 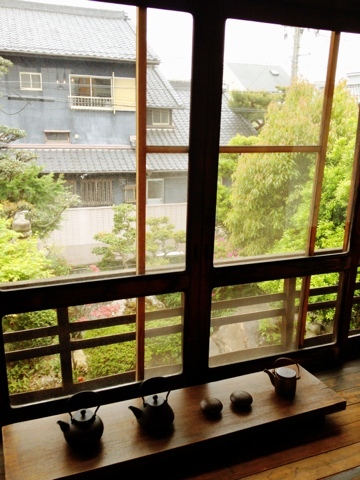 The simplicity, the beauty and calmte that Analogue Life transmits make you feel at home right away. The idea of being able to turn your passion into work in such an environment, feels like heaven to me. 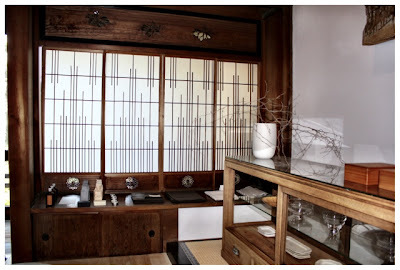 Perhaps also due to the contemporary look with Showa period architectural elements present in the building and the Japanese garden view which you are able to look at from the bright window. Then you look around and you see even more beauty exposed on every single product. The whole time I spent here I was wafting from one corner to an another. Once in a while I stopped and faced the window which looks into the Japanese garden, just to be able to assimilate every single detail and to enjoy that moment as much as I could. I was delighted and so curious about the shop, the idea behind it, the concept, the webshop, the artisans and their products that I asked Mitsue if I could interview her. And as open and friendly as Mitsue is, I could do it right away. And I did it! You can read the interview here on the blog next week. 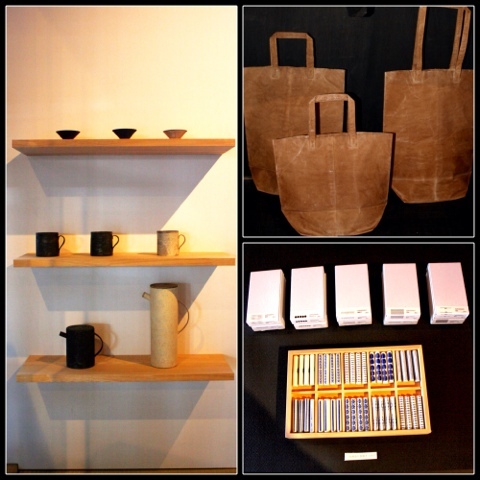 Analogue Life Nagoya Shop is open Tuesday to Saturday 12-7pm. Curious and want to go there? See how to get there Here. Have a great weekend and if you happen to be in the neigbourhood visit it. Wow, that looks like a very special place! 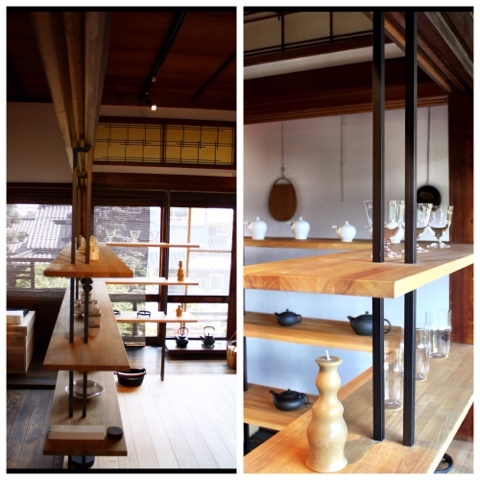 That tall thermos/tea pot in the second image is really pretty! Enjoy your weekend, Lendalia! 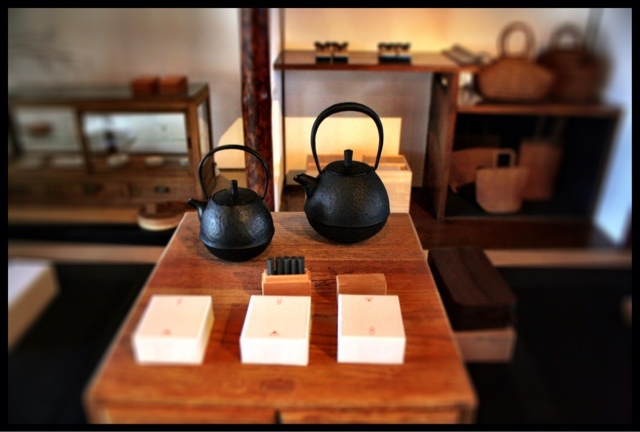 This place and their products are definitely really special and the tea pot is really a beauty. 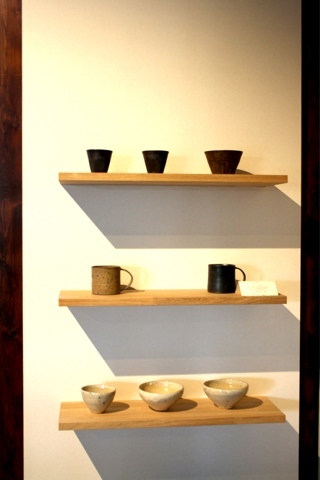 Is made by Takashi Endo and the good thing is that Analogue Life ship world wide. Take a look at their website. It's gorgeous! Have a great day! Ooooohhhh what a lovely shop! And wonderful post, you fab you! I love the way you look at life around you and absorb every detail and enjoy life. I need to do that more, stop and enjoy the here and now! You just reminded me of that :) Can't wait to read the interview! Have a fab weekend, dear! Greeting to the hub.